The good news just keeps coming this year, as today we learned that our Chancellor Mr Rennie Fritschy has been recognised in the Australia Day Honours List with a Member of the Order of Australia (AM) award. I am delighted that Rennie has been recognised in such a way and it is particularly fitting that this award has come on the eve of his retirement. 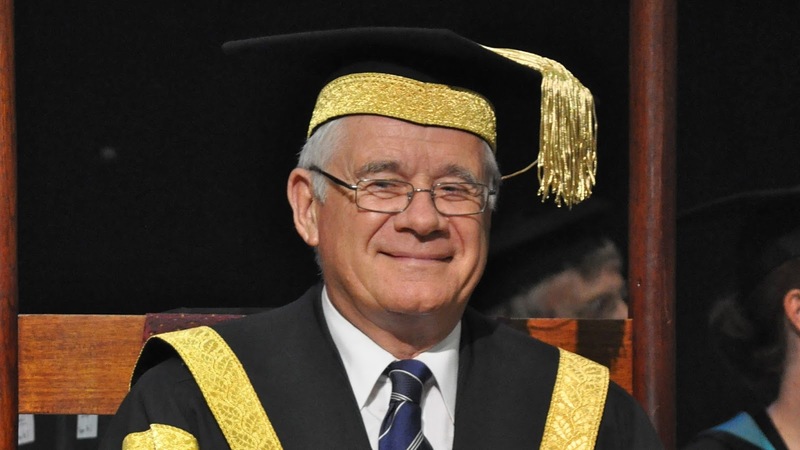 The award recognises the significant contribution he has made to regional Australia, particularly Central Queensland, throughout his distinguished career spanning the alumina, nickel, petrochemical and textile industries, and of course as the Chancellor of CQUniversity. As Chancellor, Rennie has applied his expertise in leadership and strategy development to make a significant and lasting impact on not just the University, but on communities in Central Queensland and beyond. His stewardship of the University has led to the development of new program offerings specific to the needs of the region, state-of-the-art learning and teaching facilities and a greater focus on our global outreach programs, and our social innovation agenda. The roll-out of new allied health programs in Central Queensland in recent years, for instance, is already changing these communities. We’ve begun seeing the first wave of skilled graduates entering the workforce, with at least 70 percent of them remaining in the region to live and work. I know this has been of one of Rennie’s most cherished accomplishments. It has been strategic imperatives like this which have led to increased enrolments at CQUniversity, helping improve higher education participation within the region. In fact, during Rennie’s tenure as Chancellor we’ve actually seen the gap between metropolitan and CQ regional university attendance rates narrow markedly, which is tremendous social change. Importantly, Mr Fritschy’s commitment to improving access to higher education for the demographic that CQUniversity mostly serves, including regional and remote, low socioeconomic, first-in-family and Indigenous students, has made positive ripples throughout the region. His tenure as Chancellor has seen CQUniversity emerge as the largest and fastest growing university based in regional Australia. Rennie has helped take a strong regional university and transform it into a great national university. On behalf of everyone at CQUniversity I would like to congratulate Mr Fritschy on this award. I am sure you will join with me in agreeing that he is thoroughly deserving of this recognition.